Mold has been around for millions of years and truly is everywhere — it’s in the air, all throughout nature, and even inside our homes. Mold grows wherever there is moisture, and it can cause a variety of serious health problems. Mold can cause health issues ranging from a stuffy nose to life-threatening lung diseases, which is why it’s essential for every parent and homeowner to be fully aware of how to handle and prevent mold from growing inside a home. The most common ways mold enters into a residential housing structure is thought heating, cooling, and ventilation systems; however, it can even find its way inside through the front door or the windows. Additionally, mold can attach itself to clothing, bags, and even pets, subsequently entering and spreading throughout a home. Unfortunately, there is no single way to completely prevent mold from forming inside your home or eliminate all mold spores in an indoor environment; the only way to control indoor mold is to control moisture. One of the best ways to fight back against mold inside the home is to protect your indoor air quality and humidity levels. Residential humidity levels should be kept between 30% and 55% indoor humidity in order to maintain optimum air quality. Peeling wallpaper or blistering paint. A musty odor inside your home, especially in the basement or throughout crawl spaces. Visible condensation and water stains. Allergic reactions to dust mites or mold. Visible mold growth in any area of your home. Addressing these molding issues won’t just protect your family from health issues, either. 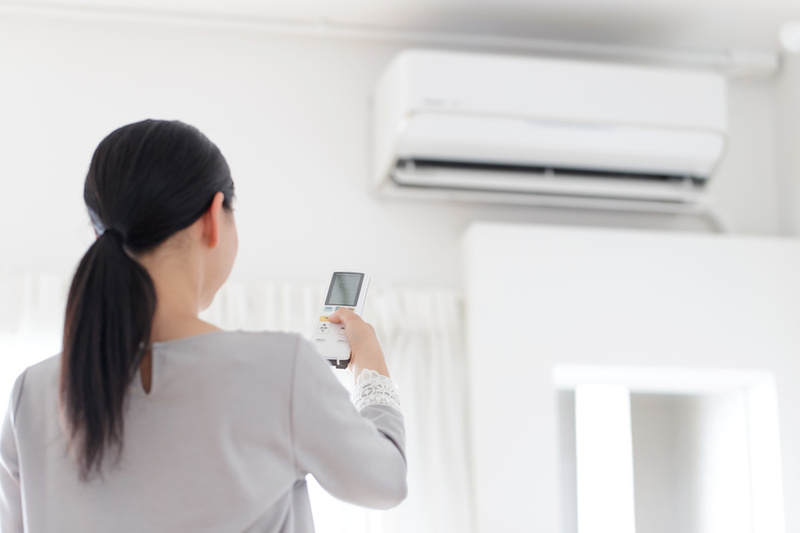 Improving your air quality, humidity levels, and taking other measures can end up saving you a significant amount of money, as well. In most instances, you can greatly improve energy savings by investing roughly $1,000 in insulation, sealing air leaks, and repairing or updating any window that is more than 15 years old. Not replacing your air filters — Your HVAC system’s air filters need to be cleaned and replaced on a regular basis. HVAC air filters remove much of the dust and floating air particles throughout your home. If these filters are clogged, they won’t work as effectively. Neglecting to clean your home — You can monitor air quality, control moisture levels, and replace your air filters all you want, but if you aren’t keeping your home clean, you’re essentially inviting mold inside. Clean every inch of your home on a consistent basis in order to keep mold and other filth-related problems out. Using tap water inside your humidifier — Humidifiers are great for controlling humidity levels inside a home, but they should be filled with distilled, demineralized, or purified water. Using tap water in your humidifier can cause molding and exacerbate allergies.